"Everyone in Massachusetts has been in one of our buildings." We are a General Contractor that has been in business for over 35 years, specializing in commercial construction. 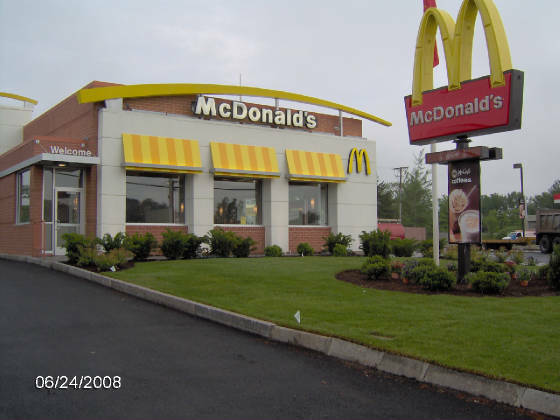 Since our beginning, in 1976, we have completed over one hundred McDonald's and many other commercial projects including veterinary clinics, boarding facilities, New Hampshire bank branches, and countless remodels. We take pride in delivering quality workmanship on schedule and for the best value. Our professional staff has many years experience in New England and has worked with the same subcontractor group for 30 years. On our staff we have 6 licensed superintendents and a professional estimator. We are registered to conduct business in Connecticut, Maine, Massachusetts, New Hampshire, Rhode Island, Vermont.